Catcleugh Reservoir is a reservoir in Northumberland, England adjacent to the A68 road; just north of Byrness; and to the south of the border with Scotland. The reservoir was constructed between 1899 and 1905 for the Newcastle and Gateshead Water Company. The reservoir forms part of a series of reservoirs along the A68 which are connected by tunnels and aqueducts from Catcleugh Reservoir to Whittle Dene; from where drinking water is supplied to Newcastle upon Tyne, Gateshead, and some surrounding areas. The reservoirs that form the chain are, from northwest to southeast: Catcleugh Reservoir → Colt Crag Reservoir → Little Swinburne Reservoir → Hallington Reservoirs → Whittle Dene. 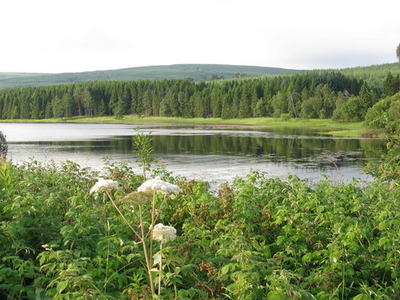 The reservoir is fed by the River Rede. Here's the our members favorite photos of "Dams in Newcastle upon Tyne". Upload your photo of Catcleugh Reservoir!